The Trump election coup has open the doors for a veritable attack on democracy. He is the strong-man the oligarchy was waiting for. Thanks to him, and on account of him, our nation’s media moguls are blaming, not themselves, but social media (they mean the internet) for the propaganda (a taboo word replaced now with the less offensive “faked news“), that changed the outcome of the elections, for it did change it. That is to become a historical fact. Now, they who own the media are enacting the most ingenious, the most crafty, the most devious idea to limit democracy and practice censorship at will: get the users of the internet to censor themselves and each other. That’s what that article is about. All of the attacks on our democracy since Trump was elected by a minority of votes are happening stealthy, under the guise of protecting your freedom! That’s the main characteristic of propaganda – designed and deployed secretly. Consider that, for you to censor other people’s communications as fake news, as FB’s Mark Zuckerberg is proposing, somebody must train you to identify what is fake and what isn’t fake news. That much the NYT’s article says. Well, guess who will be teaching you to recognize fake news? The dishonest media! Who else? Funny thing about what Zuckerberg is doing, ‘testing’ techniques for users’ censoring each others, is: he was caught last year “testing” psy ops on his users. The probabilities that he is being honest in trying to “stem the tide of fake news” have to be tested against his past practices. Sure, ask them. That’s testing psy ops, from posting the image, to telling the public, to asking the question. Fake news is actually an euphemism for propaganda, of the political type. There’s advertisement, which is also propaganda but aims at commercial purposes, you know, buy that beer brand advertised with the photo of a scantily clad woman drinking it. Fake news is what Rupert Murdoch dishes day in and day out on his cable news and newspapers. But how much coverage have you read recently linking him with the morally dishonest practice of fake news, or with how his practice contributed to Hillary Clinton losing and Trump winning the presidency? Can we close Fox News for being a fake news site? Or CNN? 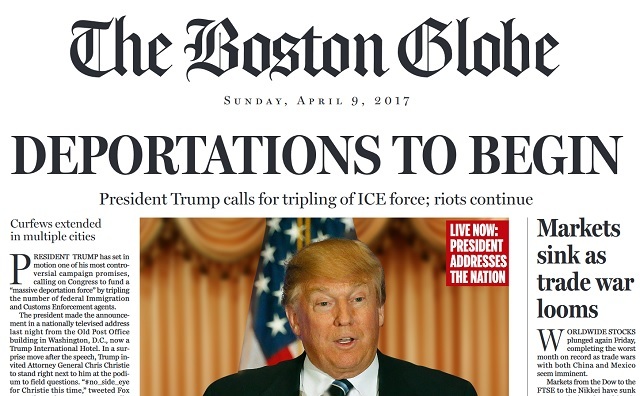 Fake news is what the Donald used to call (not anymore) “the lying and dishonest media”; he meant propaganda, but he would have NEVER used that term. In fact, he never did, did he? Clearly, there is a campaign to eliminate the word ‘propaganda’ itself from our vocabulary. Guess which one inspires in the public more disapproval, anger and even fear: fake news or propaganda? These people know what they are doing; they invented fake news. 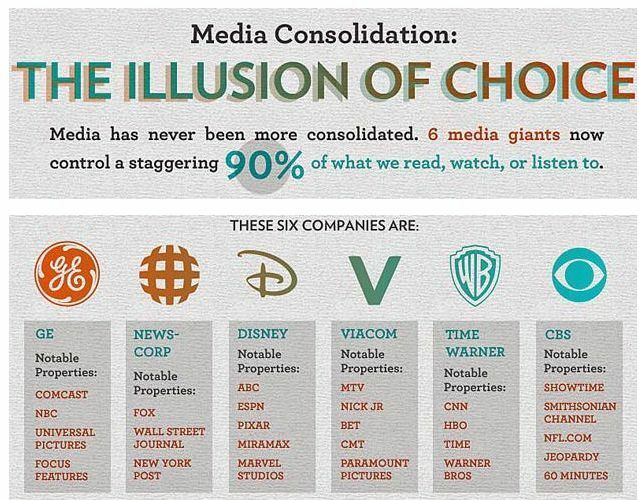 And if you are not alert, they will drive the public into believing that the CEOs of the media conglomerate don’t engage in propaganda/fake news. That means you will be trusting the trash they serve you every day; no need to question it. But the outcome of the elections teaches you otherwise. Imagine if the first lewd president, instead of saying “we have to deal with the lying media”, had said ‘we have to deal with CNN and the rest of the media that publish propaganda against me all day long‘. Trump is a media-creature, that’s the medium in which he feels at home. He made his name using the media, he is an expert in manipulating the media; don’t expect him to trash his baby as propaganda. It would neuter him as a media-creature, for his ‘charisma’ as a ‘successful’ and alpha-male businessman depends on manipulating the media. He is so exquisitely good at it that he doesn’t have to shame Rupert or Bezos as propagandists; he lets the public switch the words in their minds: from ‘lying media’ to ‘propaganda’. It’s all done subconsciously, isn’t it? Just the same, don’t expect Murdoch or Bezos or Carlos Slim (NYT) to practice self-evaluation or oversight of their media practices. The same goes for the pseudo-leftist media. Fake news became trendy precisely because of how the media owners faked the news and information they gave the public during the primaries and presidential election. 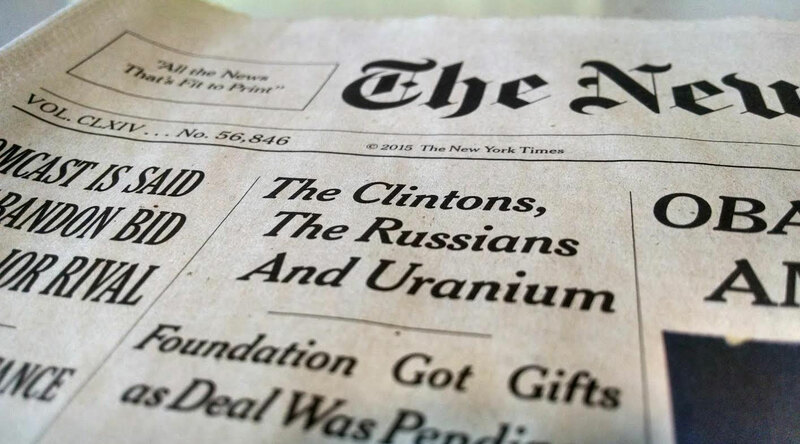 It was that, the public’s realization that the NYT, the WaPo, and CNN and all the rest of the media did influence the outcome of the elections by providing 24/7 coverage of emails and equating Hillary Clinton and Trump as equally immoral (character assassination is among the many propaganda techniques they used), that realization is what brought the term fake news into our dialogue. When you start reading what the media moguls are proposing to deal with fake news, it is difficult not to believe that they had already plan the introduction of the term ‘fake news’ to erase the one that people can’t tolerate, propaganda, and deflect attention from themselves. They knew, oh yes they did, that there was going to be backlash against them for the election’s outcome. It happened when they served the public propaganda to get them to support the invasion of Iraq. That can’t happen again in the same 16 years. The media in a democracy doesn’t have that luxury, to be seen as tools for propaganda. They media moguls have an important job to do. After all, one characteristic of propaganda is that they who control the medium are the ones who engage in it; they decide what we read, and manipulate how we feel about it and how to respond to it. Propaganda is here to stay, it can’t be prevented. When its bad angle shows, those who practice it adapt. Voilà! Fake news. Sensationalism is not the prerogative of Enquirer ‘newspaper’. It is also fake news, propaganda, and the mainstream media is as good at it as Enquirer. The media barons like Murdoch and Bloomberg have succeeded in casting the blame of propaganda on social media. That is a fact. That Zuckerberg ‘initiative’ to stem the tide of fake news…it is fake news. Fake news is good for Zuckerberg’s bottom line, and he is not about to change it for you. So, he is the one who controls FB, became a billionaire with it, but wants us to do surveillance on each other. Now they are directing your attention away from them, the professional practitioners, and into FB, Tweeter, etc., keeping their own faces clean , ‘it’s not us, they are the dishonests’. And now they have the bed ready for you. The mainstream media is blaming social media and, softly, no need to rock the boat, is organizing psychological methods to repress freedom of speech. This is something no democracy can openly tolerate, curtailing freedom of speech and practicing self-censorship. So they have already sketched ‘suggestions’ to ‘suppress’ fake news. Well, again, no one can suppress PROPAGANDA, it is here to stay, folks. It is going nowhere but into your head. Here’s looking at you, kid. Read it all here: Facebook Mounts Effort to Limit Tide of Fake News. That article is so full of bad news. It also acknowledges that, as with Google, Mark decides which topics or news are trending. So, if he wants, let’s say, candidate Clinton to trend way below Trump, voila! Done. That capacity to tinkle with news and what people are actually interested in, that is propaganda. And Mark admitted he practices it. Read the article, but do it with trying to see where is the propaganda. Think of it as presenting you with the bait you must bite in to be fished out of your own mind. And then, don’t bite anymore.